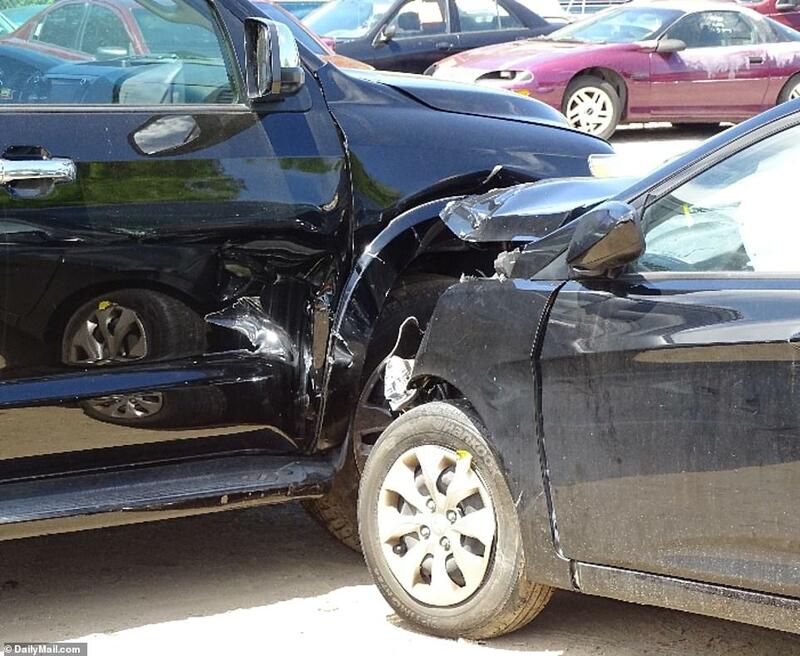 This is the bloody aftermath of the horrifying car crash that left an elderly man dead and threatened to derail Venus Williams’ glittering tennis career. 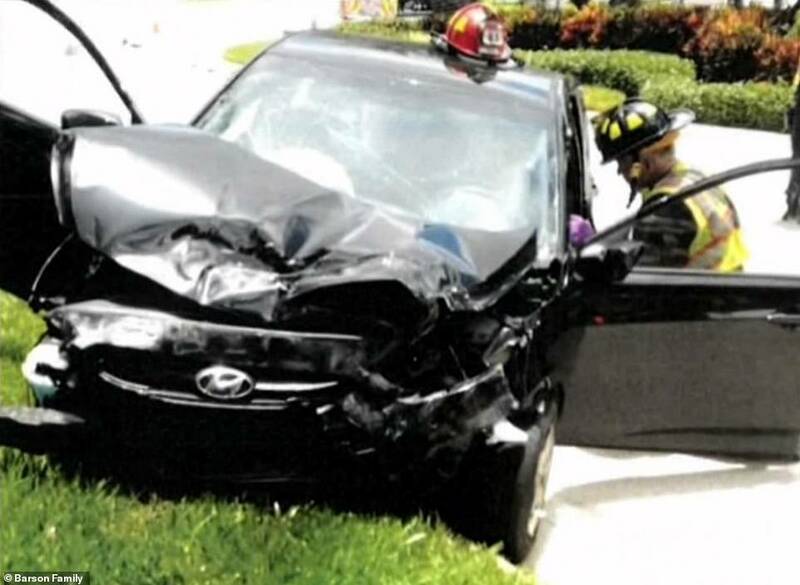 Never-before-seen images obtained exclusively by DailyMail.com show the mangled wreckage of Jerome Barson’s vehicle after it slammed into Williams’ SUV at a Palm Beach Gardens, Florida, intersection. 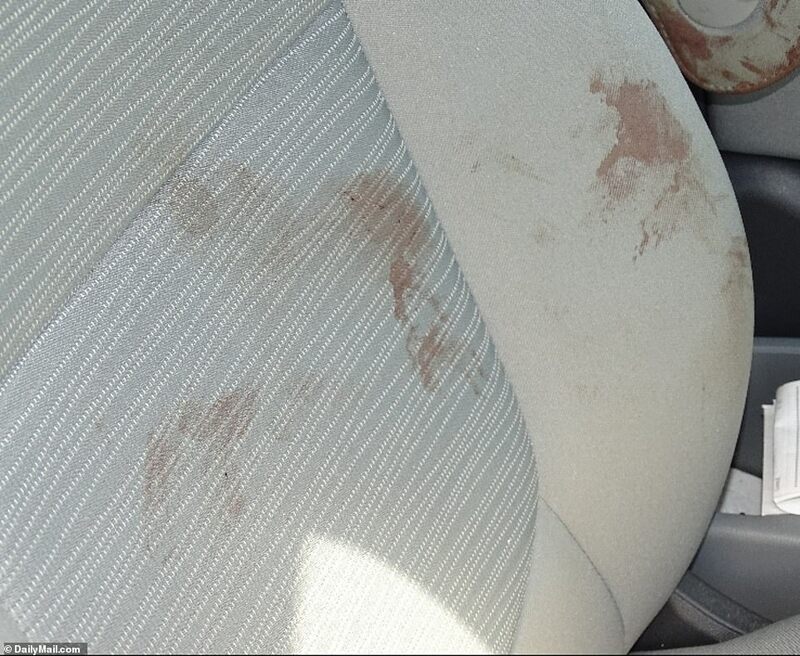 A photo taken inside the granddad’s crumpled Hyundai Accent shows blood spattered across the seats, the windshield caved in and deflated airbags draped over the dashboard. 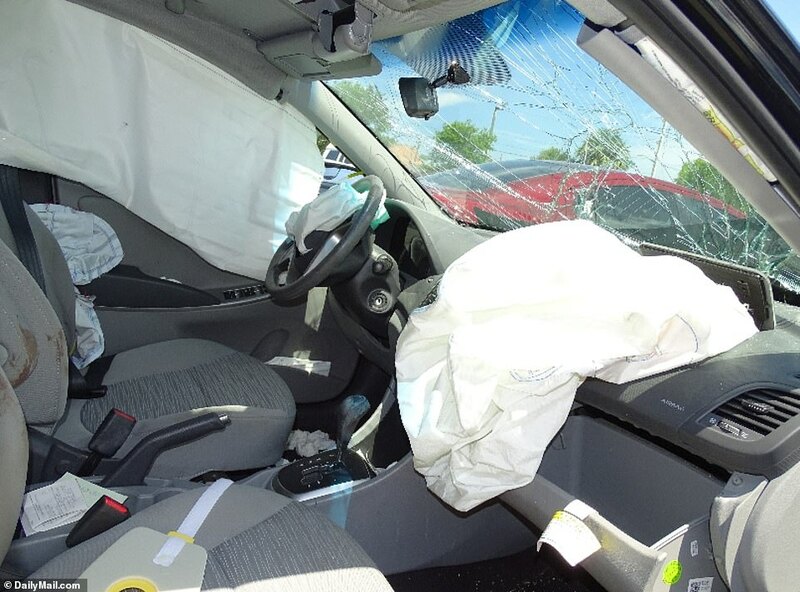 Williams walked away unharmed from the shuddering collision near her home on June 7, 2017, but 78-year-old Barson had to be cut free and rushed to the hospital. He died 13 days later. 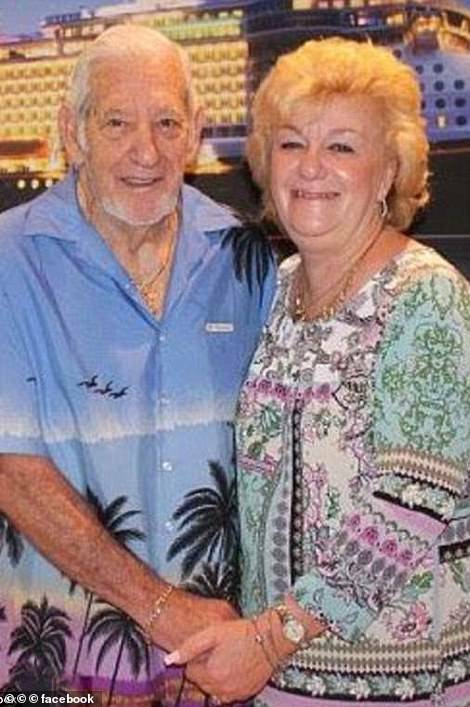 His wife Linda, 69, who was behind the wheel of the couple’s compact, survived but suffered a broken arm and other injuries. The family sued Williams for wrongful death but Palm Beach County court records show the bitterly contested case was settled in November. A police investigation cleared both drivers of fault and instead blamed an unidentified third vehicle for setting off the fatal chain of events. 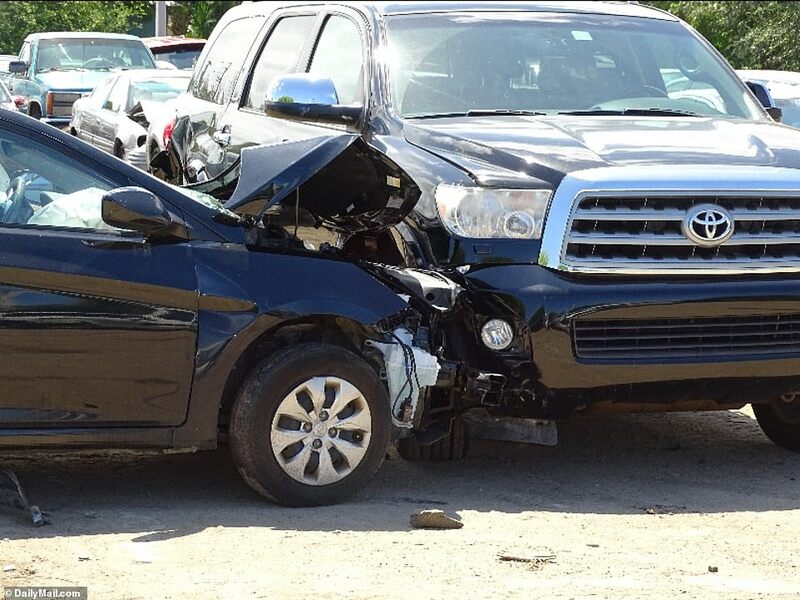 The two vehicles collided on June 9, 2017 as Williams left the upscale gated community where she has owned a home for the past 20 years and entered a busy six-lane intersection. 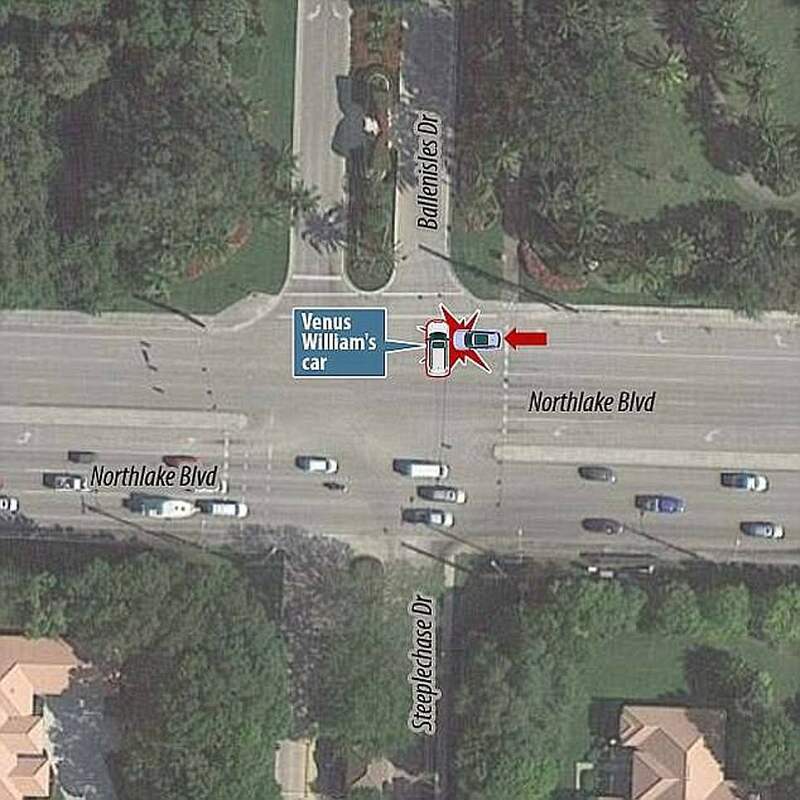 She started to turn left on a green light in her 2010 Toyota Sequoia but was cut up by a dark sedan and forced to stop, according to the Palm Beach Gardens Police Department. Williams was left stranded in the middle of the intersection and by the time she was able to move again she was directly in the path of the Barsons, who by now had a green light. 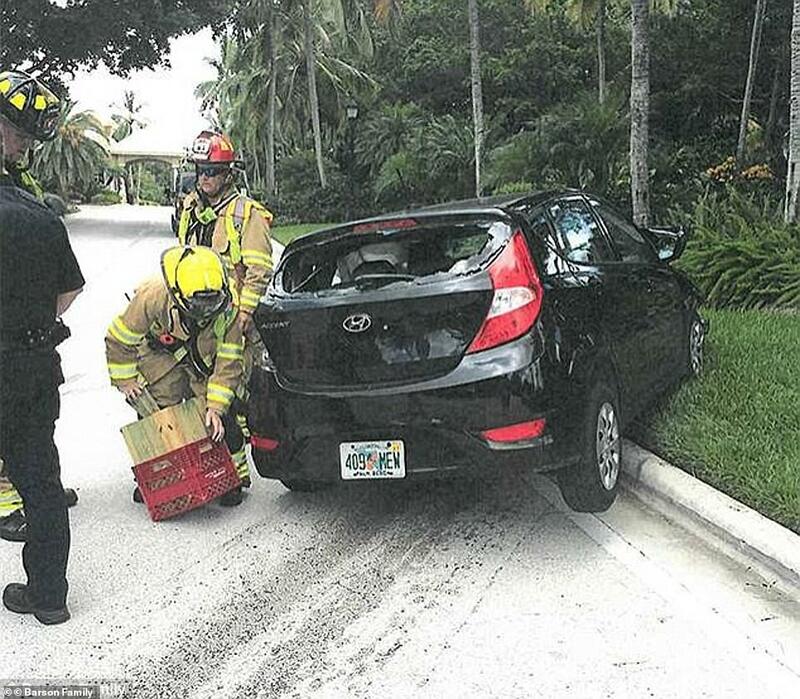 Police determined that their 2016 Hyundai Accent slammed head on into the passenger side of the tennis icon’s vehicle at 40 mph. Jerome Barson was cut free and taken to the hospital with internal bleeding and organ damage but died two weeks later – on his wife’s 68th birthday. 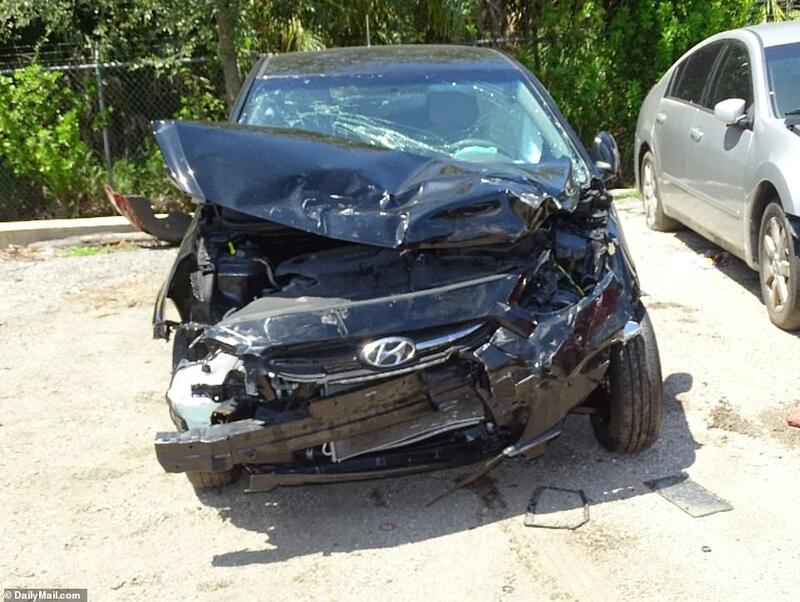 Images obtained under the Freedom of Information Act show how the impact completely destroyed the front-end of the smaller Hyundai. 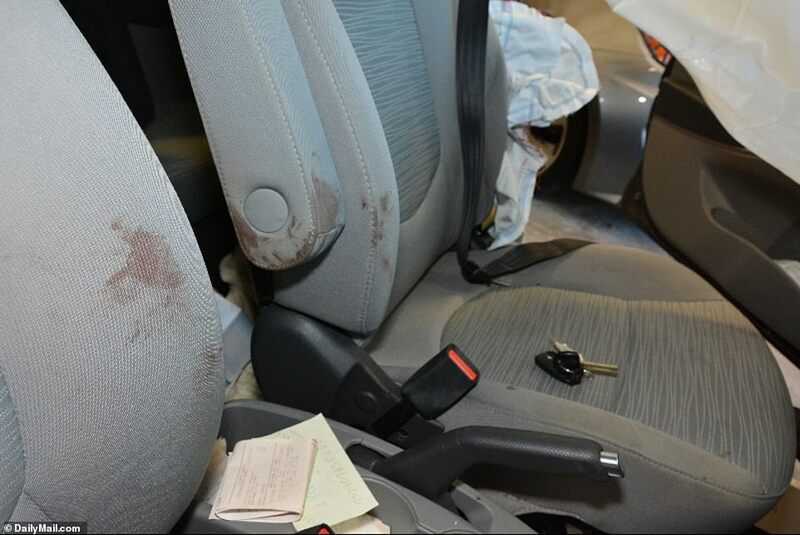 Harrowing pictures of the interior reveal blood stains on the passenger seat where Jerome Barson was sat as well as what looks like a surgical brace left behind by medics. 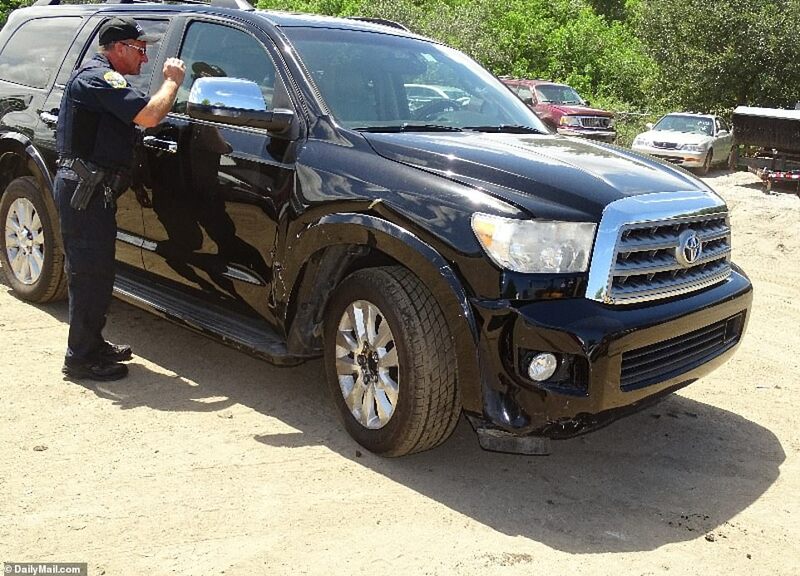 In stark contrast, Williams’ Toyota escaped major damage, suffering dents and scratches to the front passenger corner and wheel arch. 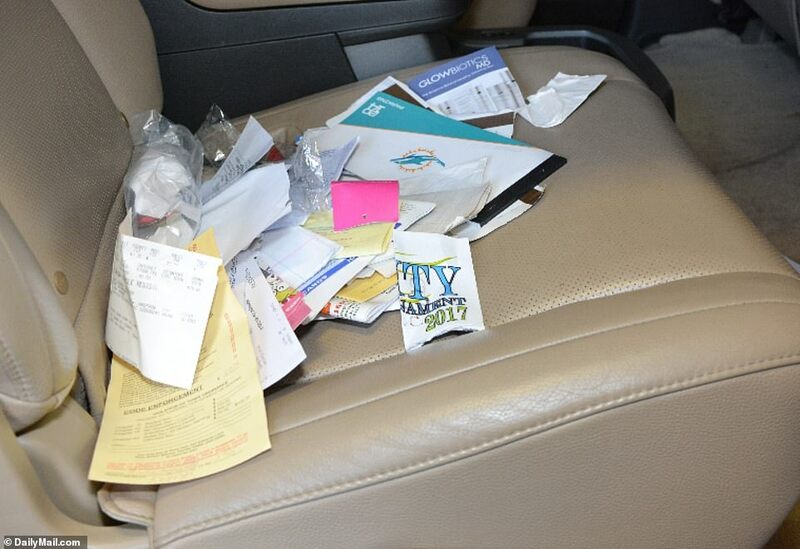 The plush, leather-bound interior of her vehicle looked completely untouched, with two white USB chords dangling from the center console, and papers, receipts and trash strewn across the back seat. 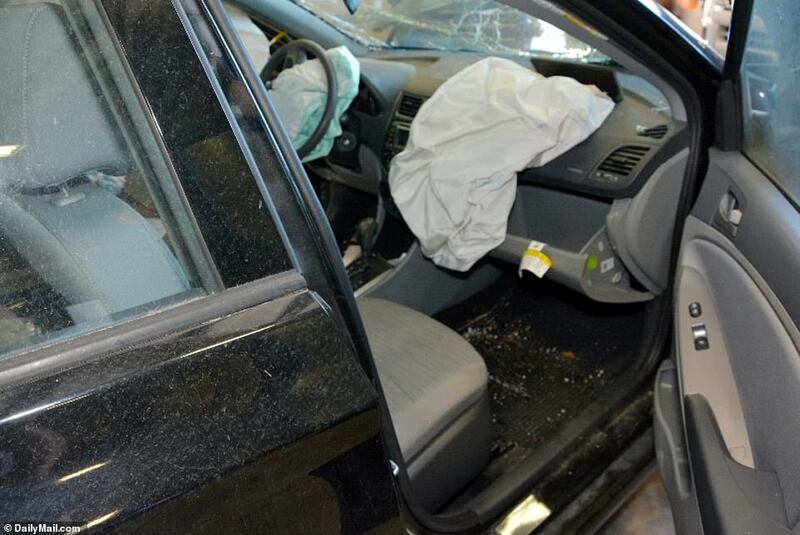 The images formed part of a probe by lead investigator Officer David Dowling, who said in his final report that neither driver would face charges. He concluded that the only violation was committed by the mystery motorist and that state law required Williams to exit the intersection once she had entered it. His analysis confirmed that Linda Barson also waited for the lights to go green before proceeding. She was obliged to make sure the intersection was clear but Dowling did not believe she should face any action. Filed less than a month after the accident, the Barson family’s wrongful death suit sought unspecified damages for loss of companionship, loss of earnings, pain and suffering, and medical and funeral expenses. 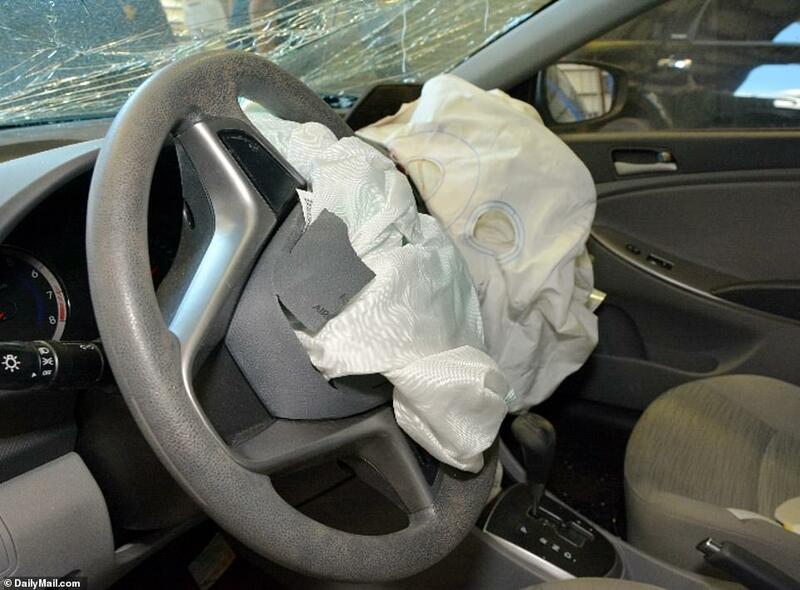 Their attorneys alleged that Williams was distracted by her phone shortly before the 1.11pm smash and filed a motion to subpoena all the electronic devices she had with her at the time. Williams resisted, calling the request a ‘wild goose chase’ and arguing that handing over her cell would allow ‘unfettered and unlimited access to anything and everything on her phone’. The five-time Wimbledon champion provided records showing that between 12.27pm and 1:37pm her phone uploaded 881,646 bytes of data and downloaded 4,292,331 bytes of data. 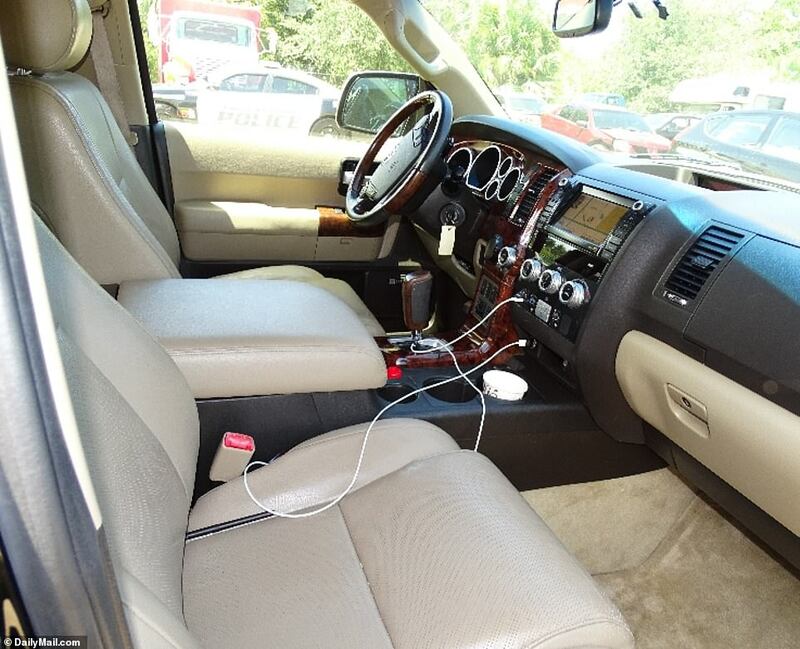 However her court filing argued the phone was passively uploading and downloading content and that it had nothing to do with the tragic accident. 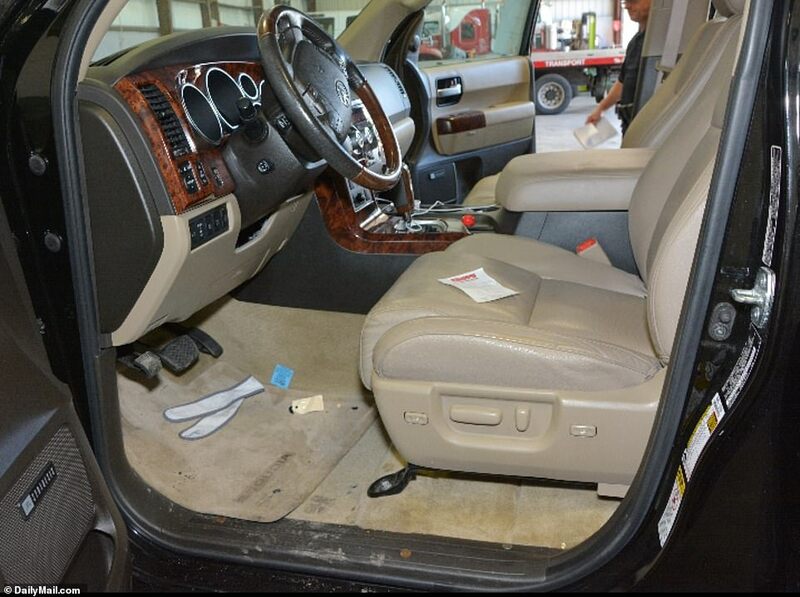 The Barsons insisted they needed to know what the phone was doing in the precise seconds before the collision and their motion for forensic inspection was approved on August 31 of this year. However 10 days later the Barson estate filed a proposal for a settlement, which was reached on November 15. No details have been shared by either side but both parties reportedly paid their own attorneys’ fees. 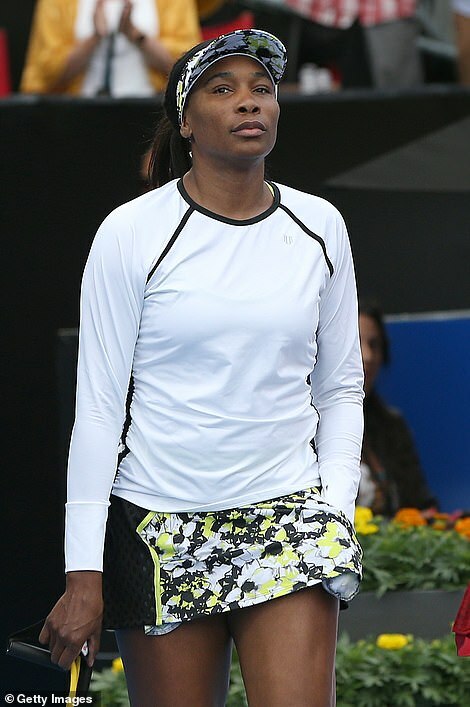 Former world number one Venus resumed her tennis career just weeks after the accident, breaking down in tears at Wimbledon when she faced questions from the media for the first time. ‘There are really no words to describe, like, how devastating and yeah I’m completely speechless. It’s just yeah, I mean, I’m just,’ she said, before tailing off and leaving the room.